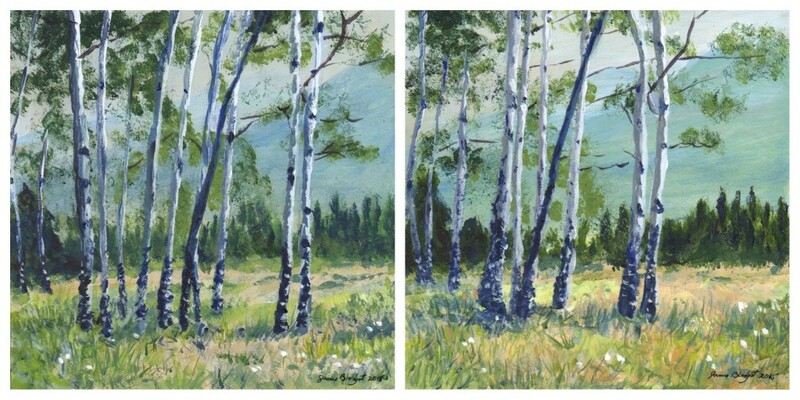 These aspen trees are on the road between Lake Louise and Jasper, Alberta, Canada. I took the reference photo on our honeymoon trip in 1975. I painted two of these for Christmas gifts – one for my wife and one for our daughter. Acrylic on Gessobord. 6×6 inches (15.2×15.2 cm). Here are both of them side by side. I painted these over three days. 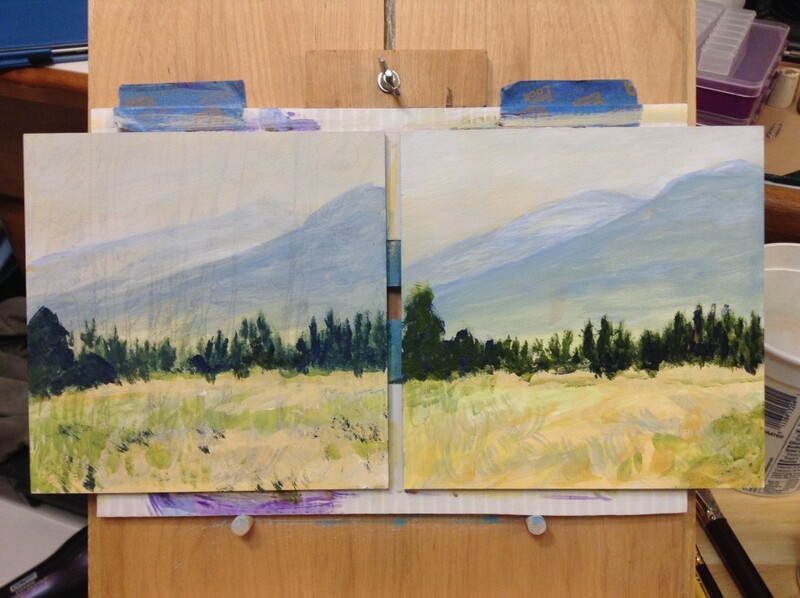 On the first day I painted the sky, mountains, background trees and roughed in the foreground. 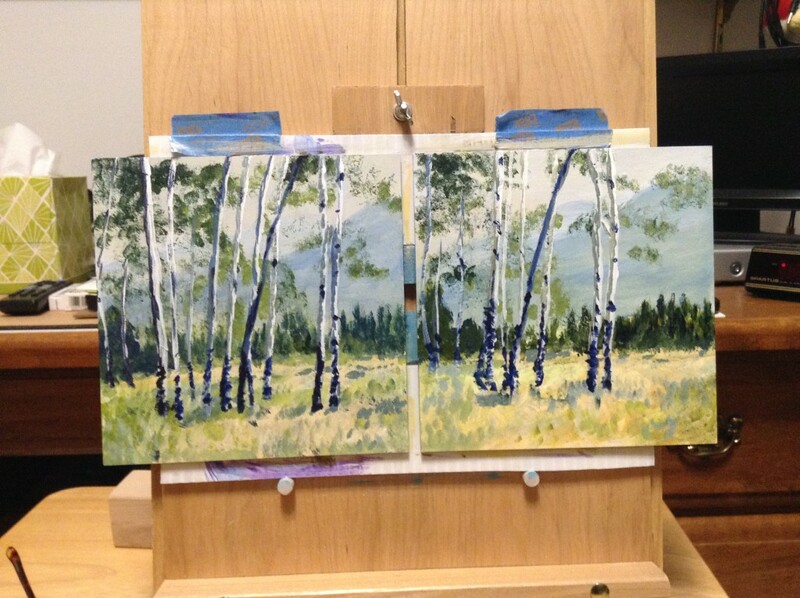 The second day I added the aspen trees. On day 3 I worked on detail. I added some branches and worked on the grasses and flowers in the foreground. I like working on a pair like this. I can see how something works in one and then apply it or change it in the other. Tagged acrylic. Bookmark the permalink. Jim Blodget | Powered by Mantra & WordPress.